I’ve been listening to your cd, and I am speechless. Your playing is so unbelievably refined, always gorgeous. Arnold Jacobs used to compliment my playing by telling me “you are proof that every generation plays better than the previous generation.” his words re certainly true in your case. The sheer perfection of your execution is startling. One could take dictation from each and every note you play–it is perhaps the cleanest playing I have ever heard from a tuba player. Your sense of good taste is very impressive, always tasteful, musical and soulful. Your control of your tone quality is extremely refined. You never lose control of your beautiful tone quality regardless of how high, low, fast, low, loud, soft, etc. Bravo. Bravissimo. 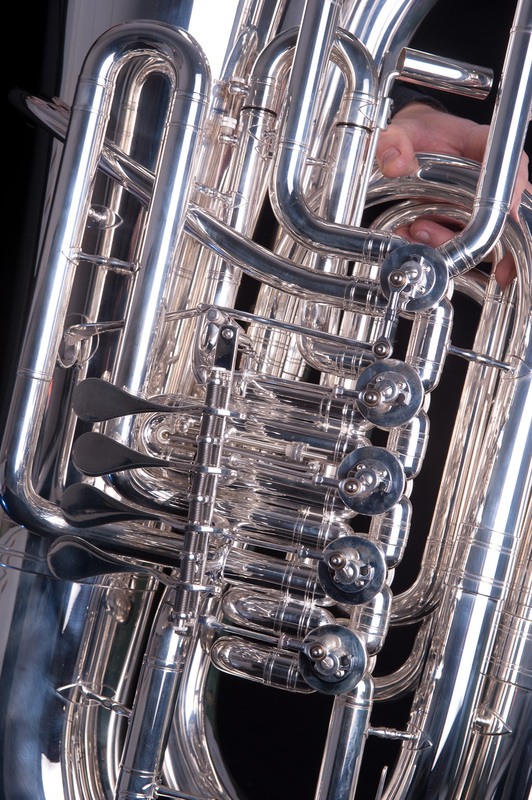 The tuba often gets a bad rap when it comes to ranking the popularity of an instrument. Often the last instrument to be handed out in high school bands, and usually to the kid who was late to class that day, the tuba has never been able to distinguish itself as a “cool” instrument in the same way that guitar, bass, piano, drums, violin, saxophone and trumpet have. Maybe it is because the tuba hasn’t really made the crossover from classical music to the popular music realm yet, as many of the other brass instruments have, or maybe it is because the tuba is often used for comic effect in TV shows and films. Regardless, the instrument has never really seemed to get the respect it deserves from the musical community and general public at large. 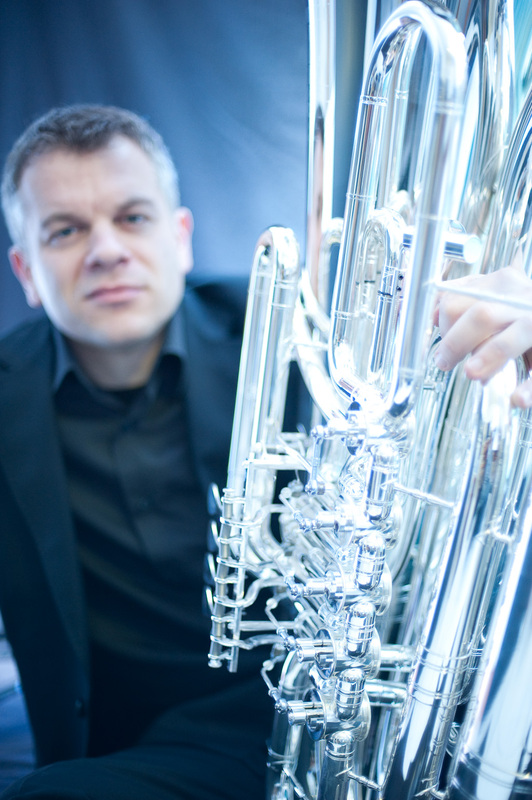 While the tuba may be relegated to the back of the class in a general sense, in the hands of a maestro such as Alessandro Fossi, the full potential of the instrument comes alive, reinventing the tuba as an instrument of dynamic contrast, wide tonal ranges and virtuosic technical feats. All of these aspects can be heard on Fossi’s album Bel Canto, which is a collection of 13 duos between the talented tubaist and pianist Nicoletta Mezzini. Both artists bring a world-class level of musicianship to each piece on the album, and their knowledge of both their instruments and the music at hand is evident from the very first notes of the opening track, J.S. Bach’s “Badinerie.” From this excellent beginning, the record only gets better. Fossi delivers a stellar performance on Bel Canto, one that can be enjoyed by fans of the instrument and newcomers alike. His tone is solid throughout, as evidenced in pieces such as the melodious “Liebeslied” and the sense of longing and melancholy that he purveys during his interpretation of J.B. Arban’s “Variations on a Theme from Norma.” In both instances, the master tubaist’s playing transcends the instrument itself. His deep sense of the melody and high level of musicianship flows through every line and phrase, giving the impression that the instrument is almost a side thought. The music is what is important, and the means of delivering that music just happens to be a tuba. As well as being a melodic performer with a deep and warm tone, Fossi is also a technical master of the instrument. On Monti’s “Czardas,” he twists and turns through the melody line, stretching the time as he blazes through this difficult, yet highly entertaining piece. One of the traits of a great musician is that they can make even the most difficult piece sound easy to play. While it is easy to recognize that “Czardas” is a fast and tricky work, one never gets the sense that Fossi is even breaking a sweat as he is performing. Each line is performed with perfect tone and technique, drawing the listener’s attention to the music itself and not the instrument being used or the difficulty of the music on the page. Bel Canto is a well-conceived album of classical pieces performed by two world-class musicians and interpreted with the utmost respect for the music and the audience. Though many people would never think to run out and by an album of tuba duets, don’t be fooled by memories of high school band rehearsals and the supposed tuba’s lack of coolness. In the hands of a master such as Fossi, the instrument can stand next to the violin, trumpet, guitar or any other classical instrument. Give this record a listen, it won’t disappoint. The next piece featured tuba soloist Alessandro Fossi from Italy, performing Concerto Grosso by Brian Richard Earl. The nature of the piece called for a reduced ensemble, which was beneficial acoustically and musically. The lively first movement was a technical challenge for the soloist and the band. The more serious second movement gave the performers an opportunity to display their sensitivity with long, sustained lines. It also presented Fossi with breath-control challenges, which he handled with apparent ease. The final movement featured strong themes and continuous interplay between the tuba solo and the ensemble. Mr. Fossi demonstrated very nice control and interpretation of the material. He did not use a large tuba but produced a satisfyingly deep, full sound. He and the band handed lines back and forth smoothly. Soloist and ensemble showed great accuracy, even during the most demanding passages. Our nation is lucky to have some of the finest concert bands in the world. The top bands in each of our five armed services are a national treasure. It is always a treat to hear such fine professionals play a concert, even more so when you have so many wonderful soloists joining the band. The soloists offered a fine variety of material, with interesting and challenging parts for the band as well. What a night this was! 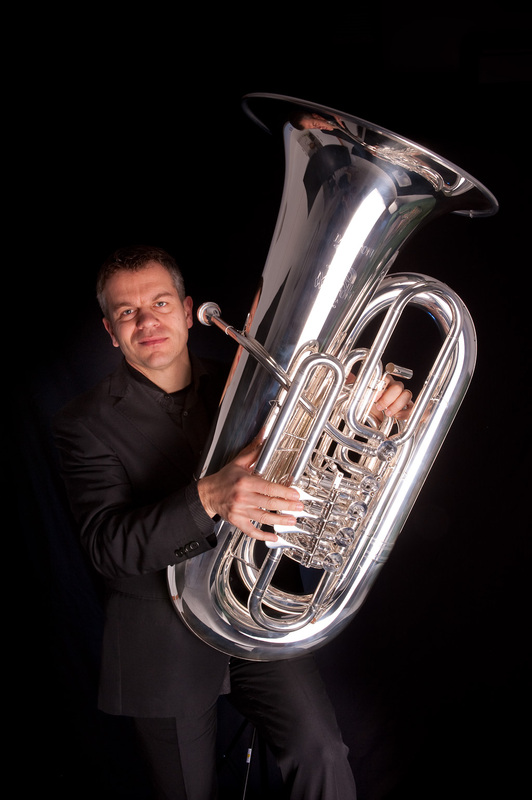 Alessandro Fossi is a world class tuba player and instructor who has played with some of the most accomplished orchestras throughout Europe (the Teatro San Carlo Orchestra, Orchestra del’Academia Nazionale di Santa Cecilia. 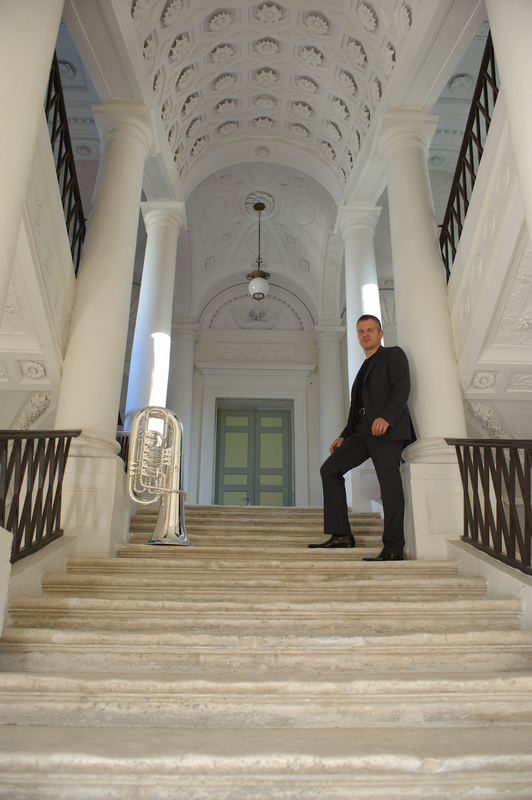 Fossi is also currently the Tuba Teacher at The Conservatorio “G. Rossini” in Pesaro, Italy. Fossi teamed up with pianist Nicoletta Mezzini (Placido Domingo, Luciano Pavarotti, Doc Severinson, Raina Kabaivanska) to record Bel Canto in 2008. The album is unusually beautiful and subtle in its approach, allowing Fossi to express with occasional power, yet exceedingly with grace some of the most beautiful melody lines born of the last several hundred years. Fossi opens with Bach’s “Badinerie” (Orchestral Suite No. 2 in B Minor) using the 2/4 meter to conjure and explosive energy in spite of a slightly muted recording. You’ll expect Fossi and his tuba to take flight before the recording is over. It’s a great opening number that sets the tone for the album. “Vocalise” (Op. 34, No. 14) by Sergei Rachmaninoff opens on a pensive legato line. Fossi brings out the beauty of Rachmaninoff’s melody. While subtlety is not necessarily a term one might closely associate with the tuba, Fossi plays with a deft touch that’s as pleasing as it is surprising. Fossi next takes on Trygve Madsen’s “Sonata for Tuba and Horn”, here simply entitled “Sonata”, recreating three movements (“Andante Sostenuto”, “Allegro Energico” and “Allegro Moderato”). Fossi dances and plays with Mezzini’s piano amidst a somewhat dark melody line throughout, with “Andante Sostenuto” playing like the soundtrack to an action film at times. The two dance together throughout “Allegro Energico”, while alternating on tremendous runs in an almost call-and-response style in “Allegro Moderato”. “Variations On A Theme From ‘Norma’” (J.B. Arban) is a pretty and gentle piece that turns into a delightful canter. Fossi and Mezzini build an aural canvas here that is vibrant and full of life. Fossi is absolutely acrobatic with the tuba, changing your expectations and understanding of what the instrument is capable of. “Après Un Rêve”, from GabrielFauré’s Three Melodies (Op.7) is reverent in approach. Fossi’s melody line is highly legato and dream-like while Mezzini provides percussive intent on piano. Together they realize Fauré’s coming out of darkness dream while yearning for the return to night. Both Fossi and Mezzini show a distinctive subtlety and finesse here. “Vissi d’arte” is a song of abject misery from Giacomo Puccini’s Tosca. Sung by Tosca herself, “Vissi d’arte” questions why she is forsaken by God in spite of her faith. Fossi’s play is beautiful, but loses some of the darkness and despair in the translation. Fossi bounces back nicely on Mozart’s “Alleluia, Exultate” (K. 165), nailing the utterly relaxed jubilation Mozart intended as his tuba dances around Mezzini’s fine piano play. “Una Furtiva Lagrima”, from Gaetano Donizetti’s Elisir d’Amore (Elixir of Love) is a sleepy, sorrowful aria. magic potions, con men and unrequited love are the back story as Donizetti’s Nemorino take joy in thinking his love potion has won him the love of Adina. Once again Fossi’s delivery is amazingly beautiful although it the mood he casts here seems out of synch with the story behind the song. Fossi closes with a lyric, loving take on Ennio Morricone’s “Once Upon A Time In The West”, casting the legato melody line as a thing of pure beauty. It’s a quiet, dreamy closer that is the perfect aperitif. Whatever your expectations are coming in to Alessandro Fossi’s Bel Canto, he will surprise you. The album is a work of sublime beauty, surprising and inspiring by turns. Fossi is grace personified with the tuba, and Nicoletta Mezzini is his equal on piano. For those who think the tuba is a big funny instrument at the back of the orchestra, Bel Canto will turn your worldview upside down.